Morosi: What’s next for Tigers after trading Doug Fister? 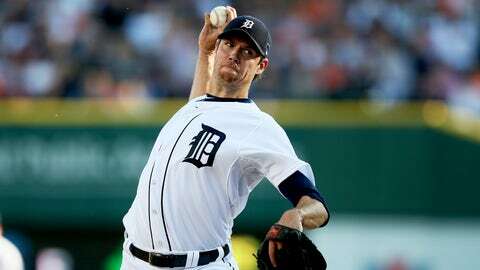 Tigers starting pitcher Doug Fister was traded to the Nationals on Monday. Doug Fister was one of the top 10 starting pitchers in baseball during the past three seasons, according to the Wins Above Replacement rankings at FanGraphs.com. He compiled a 3.30 ERA over that span and often performed like an All-Star. He was nails in October, turning in a quality start — at least six innings, three or fewer earned runs — in six straight postseason games, the longest active streak of any current pitcher, according to STATS LLC. 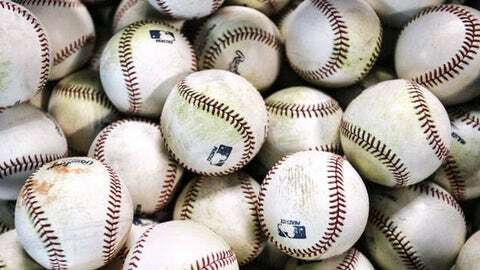 Monday evening, the Detroit Tigers traded Fister to the Washington Nationals for three players you might not know: left-handed pitching prospect Robbie Ray, left-handed reliever Ian Krol, and utility man Steve Lombardozzi. So the Tigers aren’t as good Tuesday morning as they were Monday morning. That would be a major concern if the Tigers had a game Tuesday night. Shortly after the trade, I spoke with one National League executive who was “unimpressed” by the Tigers’ return for two years of Fister. He thinks the Nationals won the trade. I agree. But I’m also willing to give Tigers club president/general manager Dave Dombrowski time to reveal the wisdom of this deal. “We’re not done,” Dombrowski said to reporters on a conference call. After building three consecutive ALCS teams, he deserves the benefit of the doubt. Dombrowski acknowledged finding a closer is now the Tigers’ No. 1 priority. And if he signs one using some of the money he saved Monday — Fister is projected to earn roughly $7 million in 2014 — then this trade is more than Fister for Ray, Krol and Lombardozzi. It becomes Fister for those three and the money to sign Joe Nathan, Brian Wilson, or another closer to be named later. Dombrowski cited financial “flexibility” as part of the reason for this trade, just as he did following the Prince Fielder-for-Ian Kinsler blockbuster. That’s a loaded word for any sports executive to use, and thus he was asked if the Tigers are slashing payroll. Dombrowski answered very plainly that they aren’t — “We’re not cutting payroll” — and, so far, the facts suggest he’s being forthright. This year, the Tigers’ Opening Day payroll was a team-record $148.7 million, according to Cot’s Baseball Contracts. Right now — without a closer, without the left fielder or third baseman the Tigers should acquire — the current roster will cost upward of $142 million, based on data from Cot’s and the MLBTradeRumors.com salary arbitration projections. The signing of Nathan or Wilson likely would put the Tigers above this year’s mark, and they can go even further by splurging on a free-agent outfielder like Carlos Beltran or Curtis Granderson. In that sense, the Tigers didn’t trade Fielder and Fister because they want their payroll number to drop. They did so because they want it to stay roughly the same. Of course, the story changes if Dombrowski trades Max Scherzer, the reigning Cy Young Award winner. Scherzer had been mentioned prominently as a trade candidate early in the offseason, since the Tigers didn’t want — and still don’t want — to lose a pitcher of his caliber to free agency after the 2014 season and receive only a compensatory draft pick in return. On the surface, Monday’s trade makes it more likely that Scherzer will remain with the Tigers for at least one more season. But it doesn’t appear the Tigers have made much progress in discussing an extension with his powerful agent, Scott Boras. Dombrowski made clear that the Fister trade shouldn’t be interpreted as a sign the Tigers are close to a mega-extension with Scherzer. “I wouldn’t read into that,” he said. The Tigers indicated their motivation to trade a starter had as much to do with Drew Smyly, the poised 24-year-old lefty, as financial considerations. “We think he’s a starting pitcher,” Dombrowski said of Smyly last month. Monday’s trade created the necessary opening, as Smyly will join right-handers Scherzer, Justin Verlander, Anibal Sanchez and Rick Porcello. With that comment, was Dombrowski trying to preserve a whiff of leverage in negotiations with Boras? Perhaps. Unquestionably, they were the words of a man who has made moves as a major league general manager since the Montreal Expos promoted him to the position in 1988. Do I like the Fister trade from the Tigers’ standpoint? In isolation, not especially. But Dombrowski has room in the budget to acquire more players, and Ilitch has ample time before Opening Day to decide the current payroll limit isn’t much of a limit at all. The history of both men says at least one of those things will happen — and quite possibly both. That analysis seemed implicit in one statement Monday, issued via Twitter at 10:42 p.m. Eastern time: “Don’t think this is the end,” @JustinVerlander said.